For a small set up like this with no extra lighting you get our Bose L1 Model II speakers and a wireless microphone. 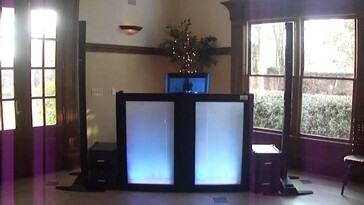 The package also includes a face to face meeting with the DJ prior to contract signing and our helpful wedding planner. 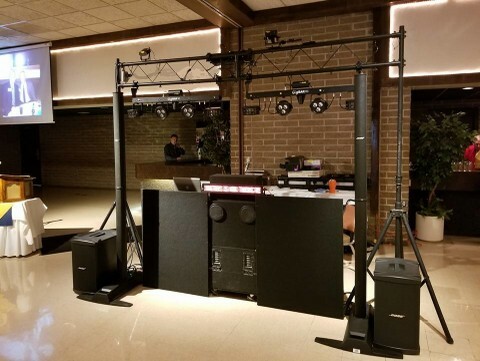 For a large set up like this will all the lights and lasers you get our Bose L1 Model II speakers and a wireless microphone. The package also incluseds a face to face meeting with the DJ prior to contract signing. You also get help with your timeline and our helpful wedding planner. All packages require a NON-REFUNDABLE deposit at or prior to contract signing to hold your date. Look at the video below to see what the Platinum Package looks like during an event. Musik Masters Entertainment packs the dance floor from Larry on Vimeo.